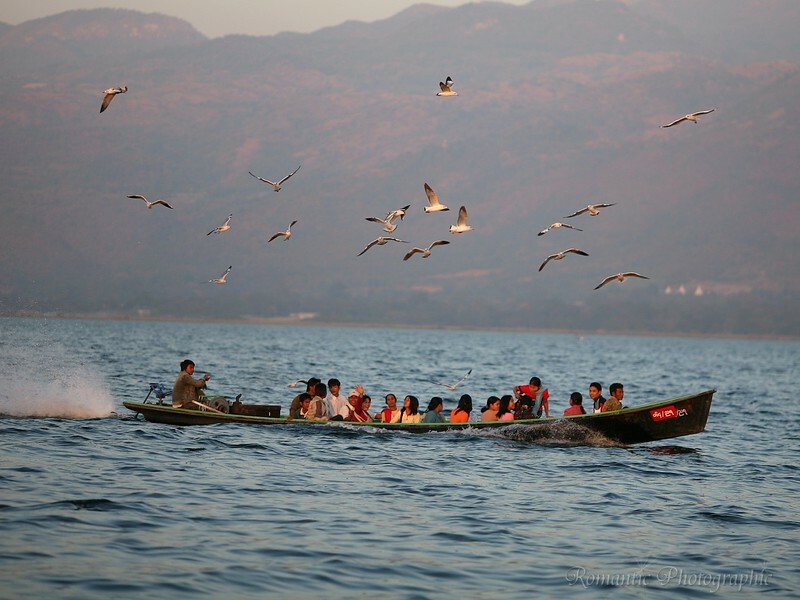 Without a breeze, the only way to get around Inle Lake was to row. The people here developed a unique rowing method. Standing, they use one leg wrapped around the paddle to provide more thrust than the arms alone. The standing position means they can see further -- particularly important when navigating the vegetative canals. Life on Inle Lake is surrounded by water. Seagulls follow a boat as it heads back across the lake.